As 2016 rolls to a close it’s time to once again take a look back at where we’ve been over the past 12 months. This was a well-traveled year for us. From Arizona to Minnesota to Maine to Florida we covered a large portion of the country…and somehow managed to feel like we slowed down and stayed longer in the places we love. 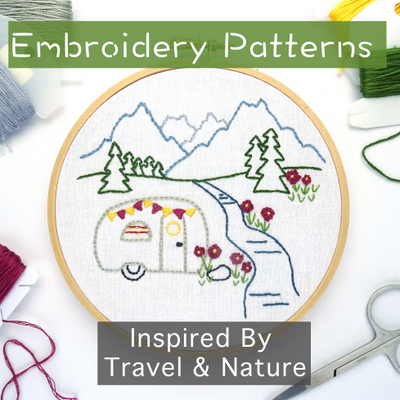 Our travel style is always evolving, but this year we seemed to get it just about perfect with lots of extended stays in some of our favorite places (I’m talking about you Utah) and quicker travels through the less exciting areas (umm..North Dakota). We’re not one hundred percent sure what 2017 will bring, but if it allows us to have half as many cool experiences as this year we know it will be good! Where We Stayed: 10 state parks, 9 different boondocking locations on BLM land, 8 overnight Walmart stops, 6 private parks, 5 National Park Campgrounds (including 1 Canadian NP), 5 Canadian Provincial Parks, 5 Casino overnights, 4 National Forest Campgrounds, 4 Private Residences, 3 Boondocking spots in National Parks, 1 city campground, 1 state forest campground, 1 Cabela’s, and 1 state operated land. Free vs. Paid: In 2016 we stayed at 31 free and 33 paid locations. This was a good year for free camping with nearly half of our overnights stops costing zero dollars. Most of the free stops occurred during the first few months of the year while we were roaming around the southwest. In fact, we didn’t pay for any camping during the first 9 weeks of 2016. 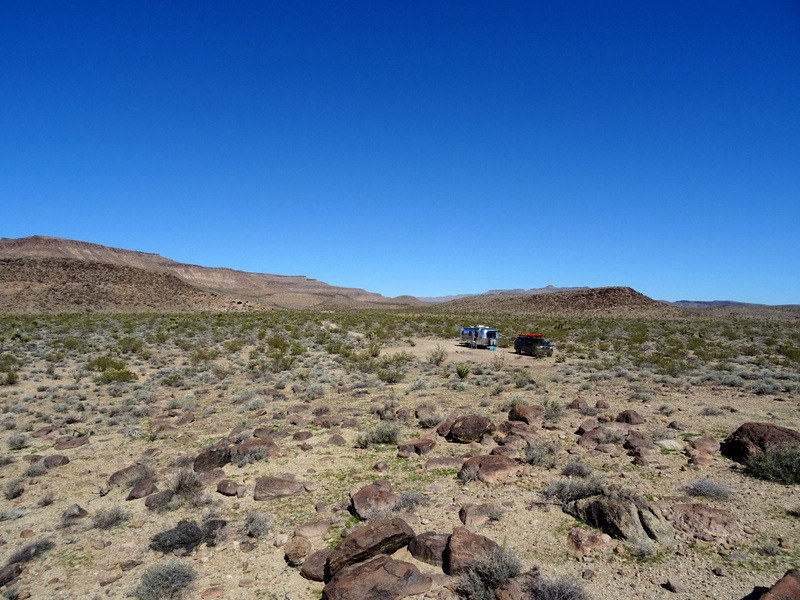 As we headed east in the spring and summer, free camping became less plentiful. We still managed to keep our costs down by always staying at a Walmart or a casino while in travel mode (meaning we never paid for a campground if we were just passing through for one night) and taking advantage of some very generous friends and family who allowed us to park in their driveways. Now that we’ve been at this full-time travel thing for 4.5 years it’s interesting to see some patterns emerge in terms of campings fees. During our first full year (2013) we traveled exclusively in the west and did a ton of boondocking. Our average camping fee that year was around $12 per night. In 2014, we split our time between the western and eastern sides of the country and our average rose up above $14 per night. 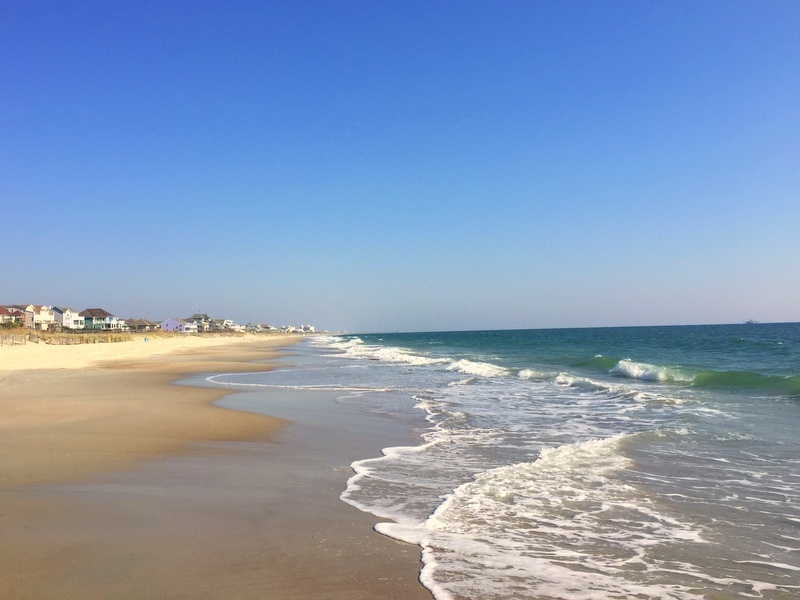 During 2015, we traveled almost exclusively in the east, only arriving back west at the very end of the year, and our per night cost rose even more to nearly $22 per night! This year, we once again split our time between west and east and our average overnight fee went down to the same as it was in 2014. These numbers reinforce the notion that living in an RV is definitely cheaper on the western side of the country. Despite all the zig-zagging we’ve done lately, our overall per night average starting in June of 2012 is still only $15.82 per day. We spent the first two months of the year bumming around the southwest desert in Arizona and California. Highlights included a rockin’ New Year’s Eve party in the desert followed by a chill month-long stay with a group of fabulous RVers near the KOFA National Wildlife Refuge. From there we set out on our own to explore Joshua Tree National Park and the Mojave NP where we discovered our all-time favorite boondocking spot to date. 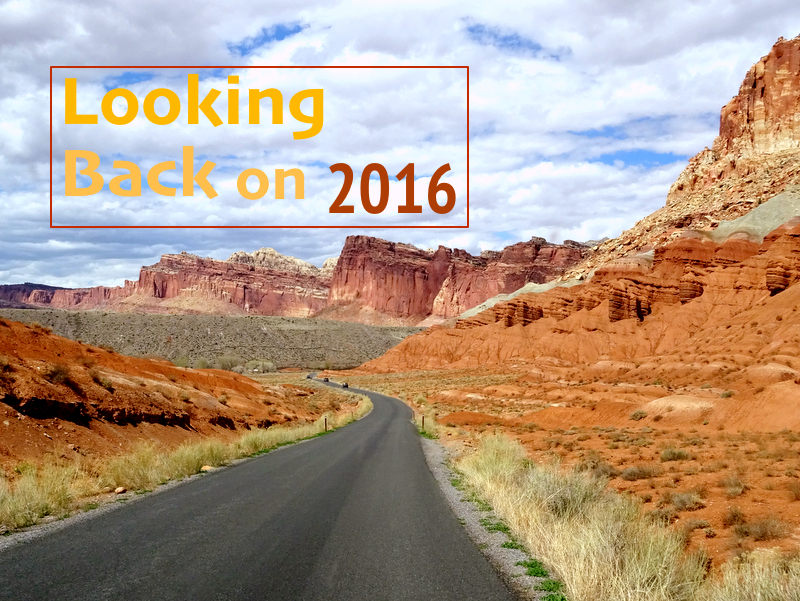 One of our top goals for the year was a return visit to southern Utah. We took a risk by arriving at the very southwest edge of the state at the beginning of March knowing that the weather might not cooperate. Our stay near Zion NP was lovely and warm in a new-to-us boondocking spot where we enjoyed some mountain biking and few of our favorite hikes in the park. 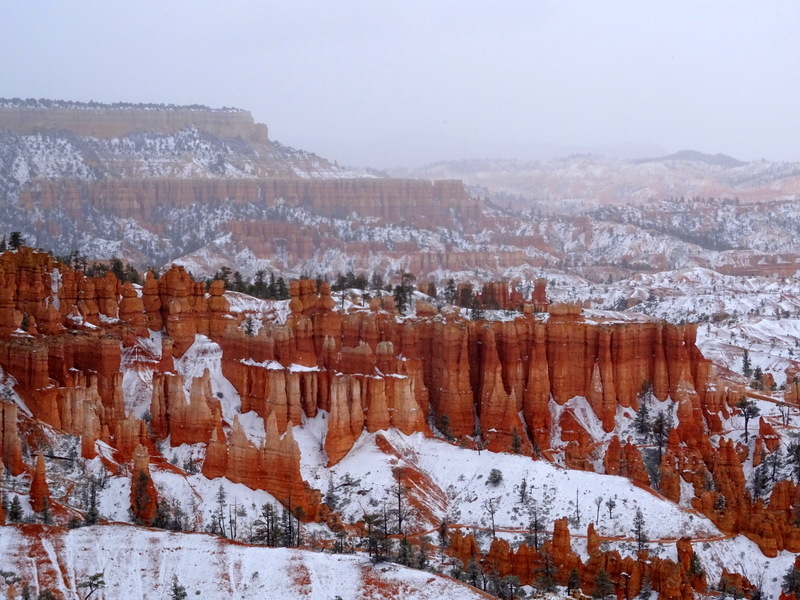 From there we traveled up in elevation to Bryce Canyon NP where our weather luck ran out and we endured a few days of snow and very cold temperatures. It was hard to complain since we got to see this magical fairytale land covered with a dusting of white. After Bryce things warmed up while boondocking outside the tiny town of Escalante where we shimmied our way through a maze of slot canyons and tackled an ambitious hike across the open desert. 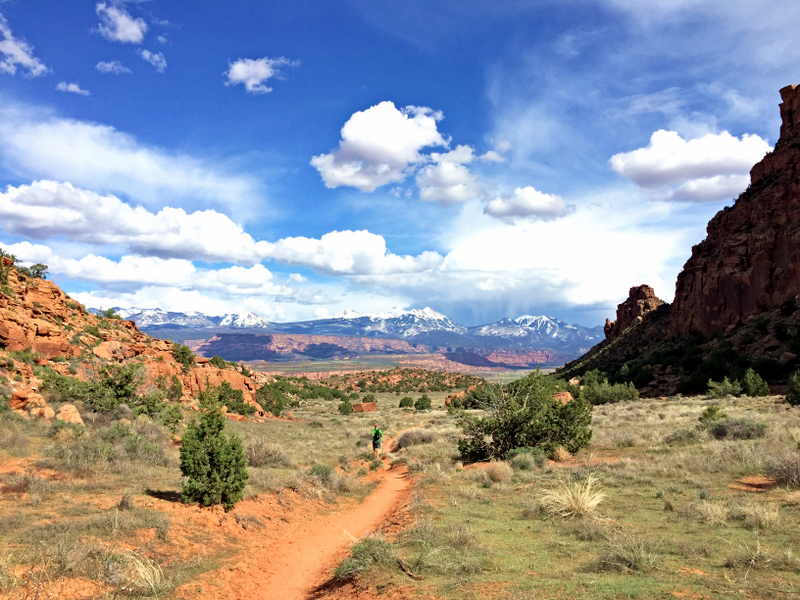 Next was Capital Reef NP where we enjoyed empty trails with fantastic views. Then it was onto Moab and some challenging mountain biking fun along with a family visit and return trips to some of our favorite hikes in Arches NP along with an all-day journey into the backcountry at Canyonlands NP. Our adventures in Utah flew by and soon it was time to head east for the summer — which we decided to do by going north? Yup, not wanting to take a direct route, we made our way from Utah to Minnesota via Colorado, Wyoming, and South & North Dakota. 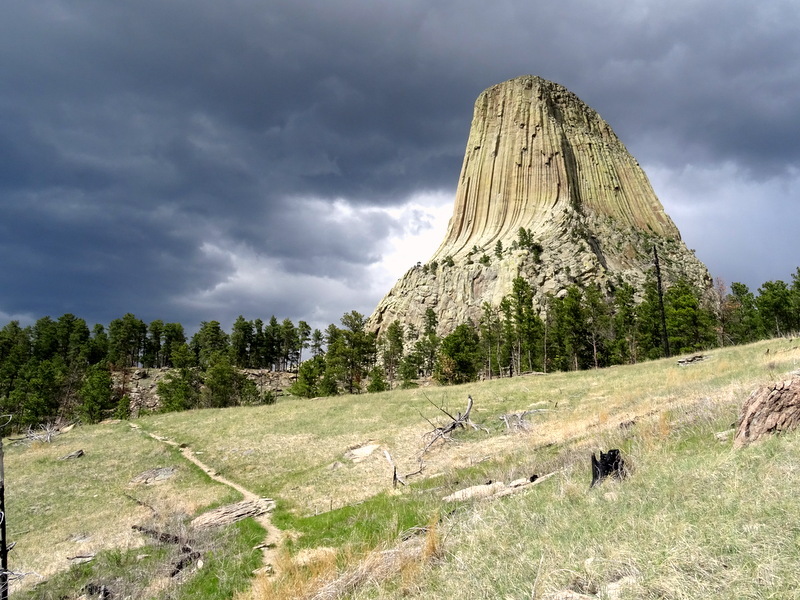 It was a quick three-week journey that gave us just enough time between driving to see the Devil’s Tower NM, bison & badlands at Theodore Roosevelt NP, and a quick tour of North Dakota’s capital city. 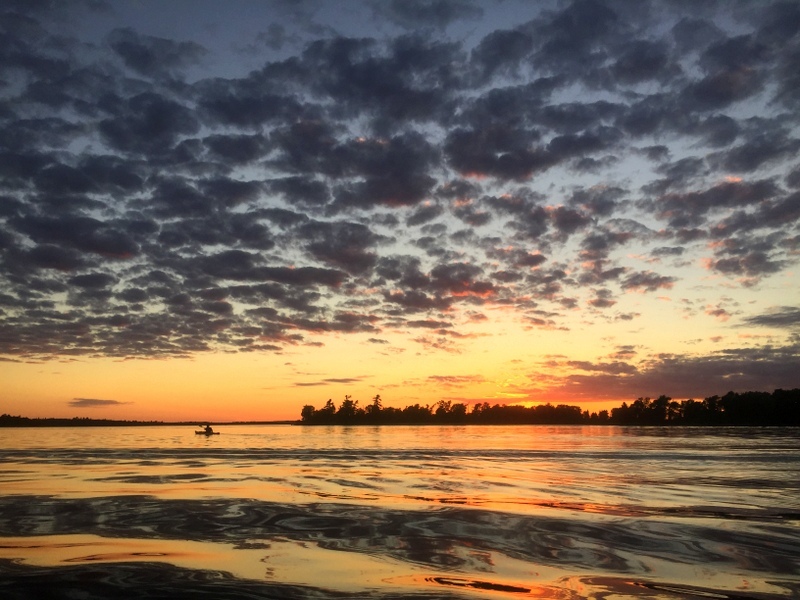 Once in Minnesota, we enjoyed a leisurely three-week tour around some amazing lakes in the northern portion of the state. With the sun setting late in the day after dinner paddles became our nightly ritual and we were treated to some amazing sunsets while out on the water. Our Minnesota tour culminated at Voyageurs NP where we tackled our first overnight kayaking trip. From Minnesota, we had a long journey across Canada to reach northern Maine. For 10 days we drove up and around Lake Superior and through Quebec. We have not spent much time traveling in Canada, and this short, fun-filled trip convinced us that we need to explore more of our neighbor to the north. 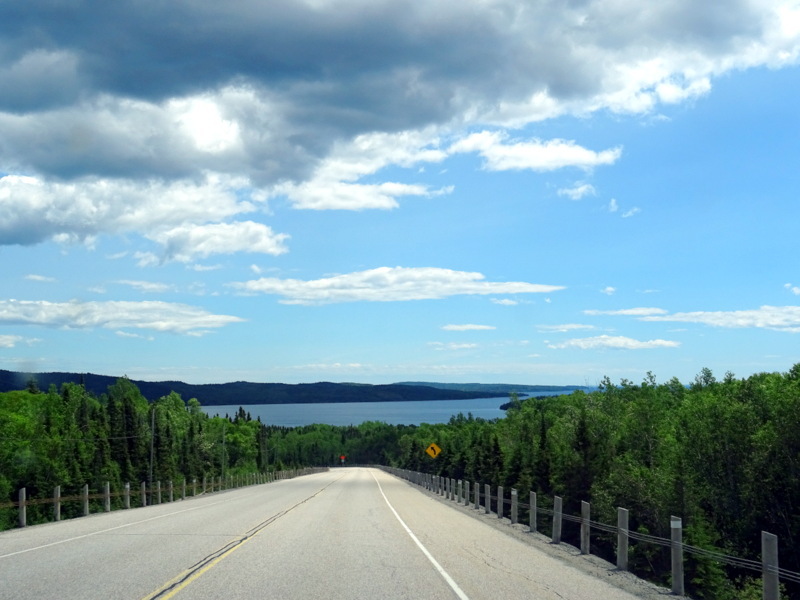 Highlights included camping beachside at the Lake Superior Provincial Park and a day trip to the capital city of Ottawa. While we love the Maine coast, we probably would not have made a return trip to Maine this year (we were just there in 2015) had it not been for my brother getting married! The wedding was at the beginning of July, and we decided to make the most of it by spending the entire month in the area. 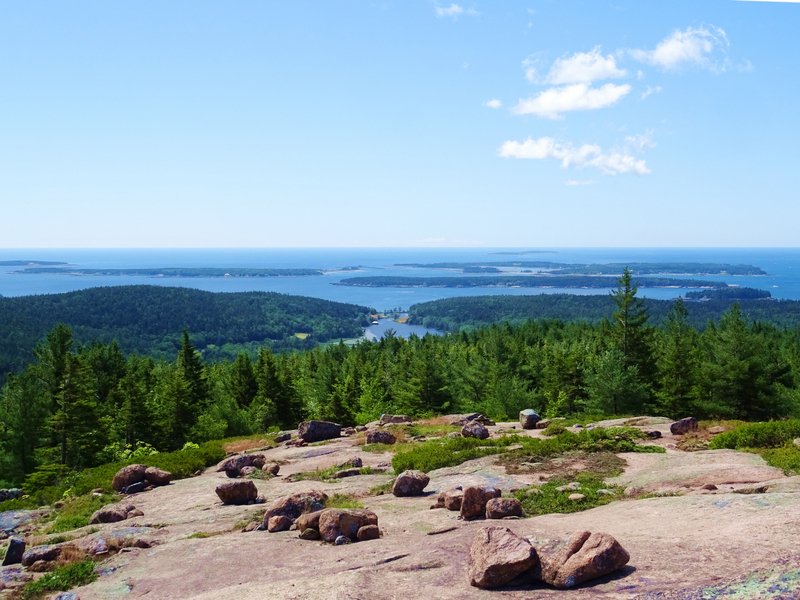 Not really a hardship when that means your backyard is Acadia NP. During our stay, we explored the park nearly every day and managed to tackle most of the hiking and carriage trails. 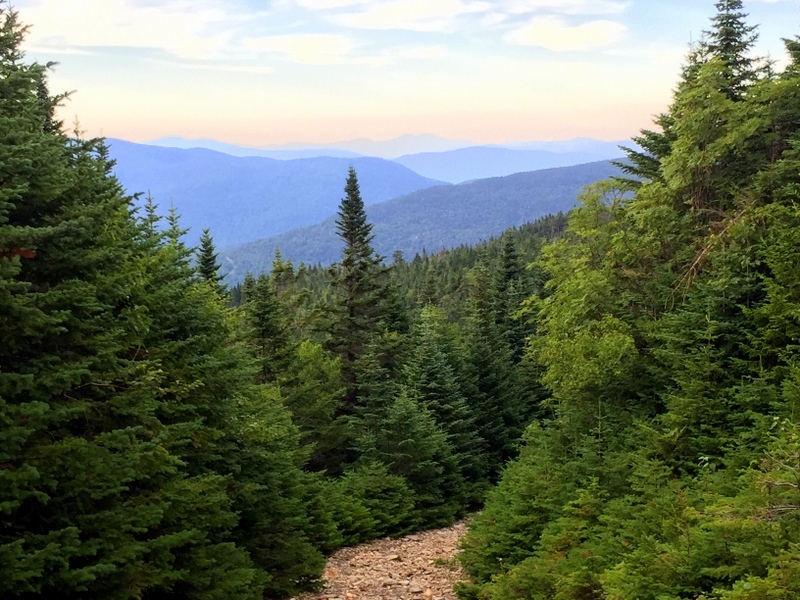 After a month in Maine, it was our intention to spend a month at most in Vermont where we would catch up with family and friends while soaking in the views and excellent Vermont vibe that can’t be found anywhere else. Well…thanks to some generous friends who allowed us to make ourselves at home in their yard, that month quickly turned into seven weeks of fun and relaxation. No matter how far we travel and how many adventures we have, Vermont will always feel like home. It was late September by the time we left Vermont and with the weather nipping at our heels, we probably should have headed straight south. But we couldn’t resist sticking around New England for just a little longer. 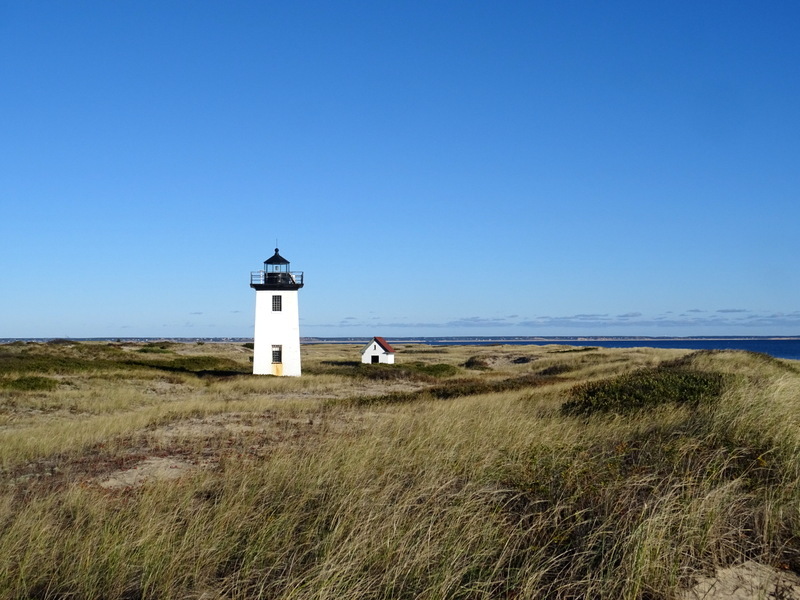 First, we spent two weeks on Cape Cod where we fell in love with the quirky and wonderful city of Provincetown, went on a whale watch, and toured a few lighthouses. Them we zipped through Rhode Island for a week of beach fun, Connecticut for some family time and a winter-like weather, Deleware for more family time and a visit to the most amazing gardens, and finally south to Virginia where we hunted for fossiled shark’s teeth and toured George Washington’s birthplace. A few weeks in North Carolina for Thanksgiving with the family followed by a week of work in Charlotte, and we were finally free to book it south to seek out some much needed warmer temperatures. 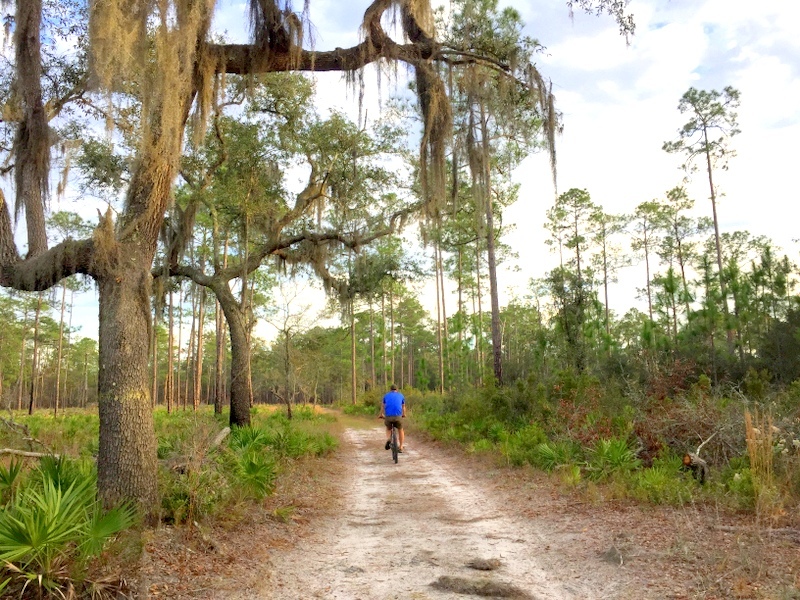 We rolled into Florida during the first week of December and were greeted by warm, humid air and some of that classic northern Florida scenery we love so much. Instead of sticking to the coast, we stayed inland in an effort to avoid the massive freeways and hordes of people. This route also allowed us to explore some places we had not yet been, like the Ocala National Forest and a fantastic free camping area on the eastern side of Lake Ochachobee. 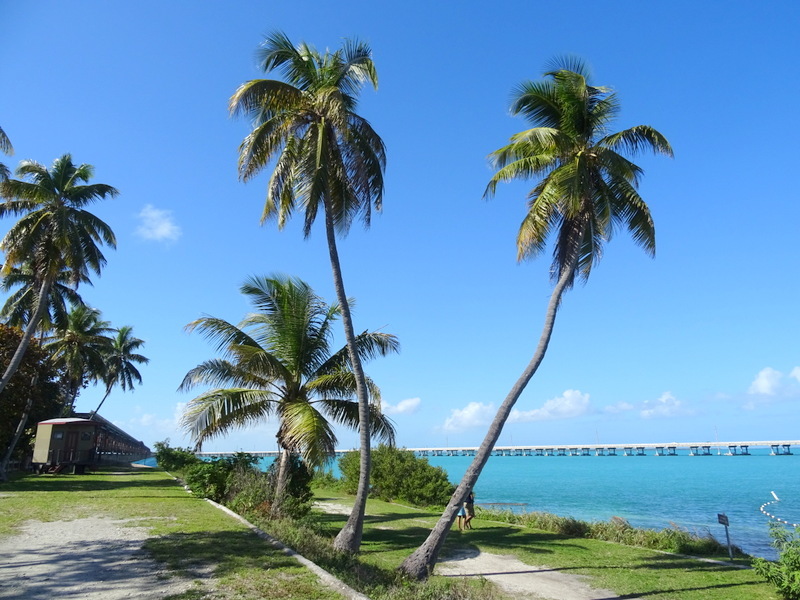 Our final destination for 2016 was the Florida Keys where we got to spend the last two weeks of the year at the always lovely Bahia Honda SP. This is the first year that we don’t have any definite plans, events, or even a single reservation. We do have a general travel plan (head west! ), but other than a very loosey, goosey kind of, sort of route, nothing is set in stone. And we love that! As always a very nice update. Glad the numbers are still coming in where they are. I am budgeting $450/month when I retire later in 2017 and will start my full time life. My plan is to boondock as much as possible. Thanks for sharing. The pics are amazing. Yup, if you plan to boondock as much as possible than $450/ month is more than reasonable. Congratulations on your upcoming retirement! Great year in review!! I know what you mean about camping fees in the east. We are going to be in the southeast for awhile due to doctor visits. Enjoy your travels west…looking forward to following along. It really is amazing how even the public parks on more expensive in the east. Happy New Year to you as well! You chose some amazing photos of so many 2016 highlights – what a great year of adventure! Your post after the election remains my very favorite of everything I read after that devastating day – for that I thank you for making my year better than it would have been :-) Happy 2017 – make magic! Thanks Jodee. I’m glad that post spoke to you. It was so different from my normal content and I wasn’t sure how it would be received. Happy 2017 to you as well! great recap of the year.. Love to see and hear of the camping sites you have experienced, thank for that.. I book mark different post for future reference and this was ONE for sure. Here wishing you a Happy, Fun and Prospers New Year.